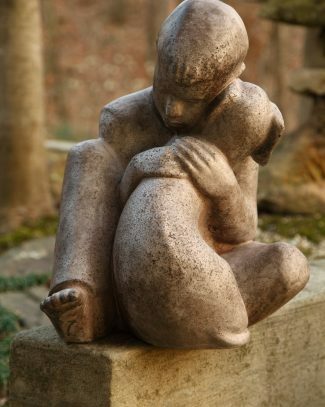 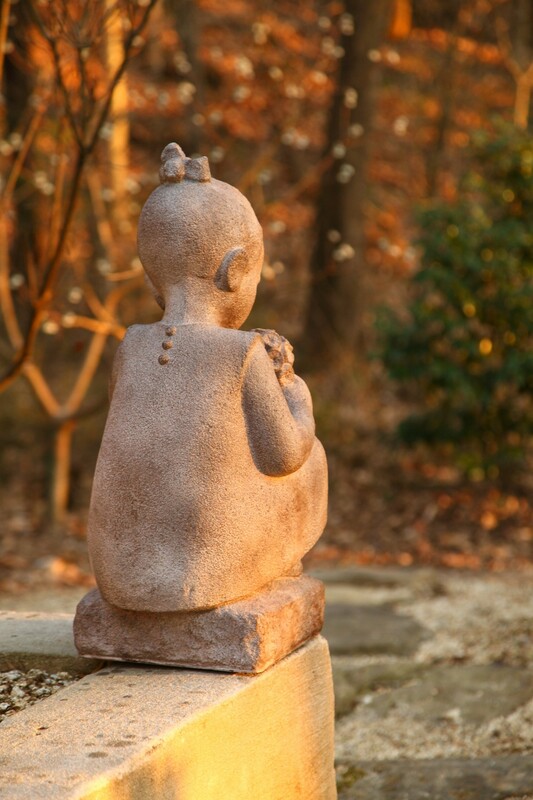 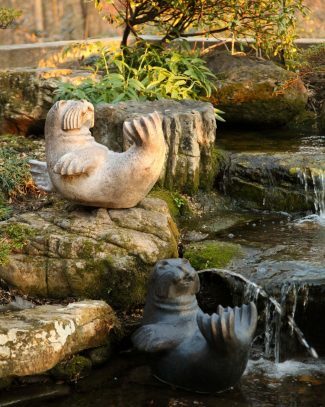 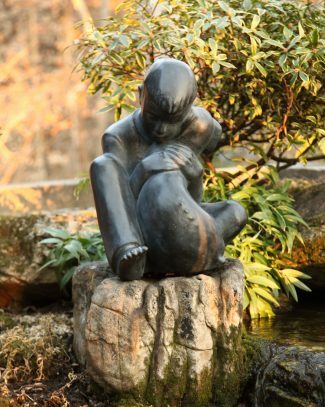 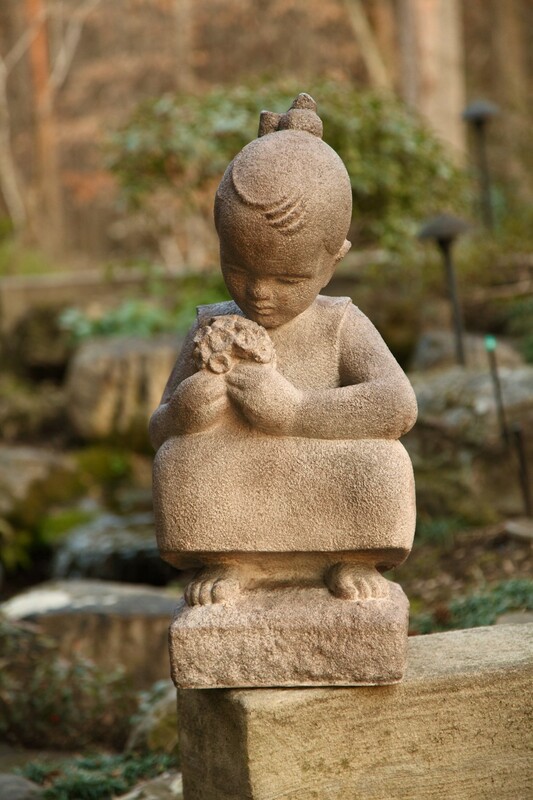 Summer, one of Sylvia Shaw Judson’s most endearing statues, stands 24” tall and is offered in sandstone or bronze finishes. 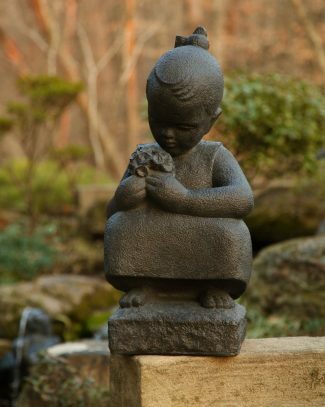 One of a Four Seasons group, it was originally cast in limestone in 1938. 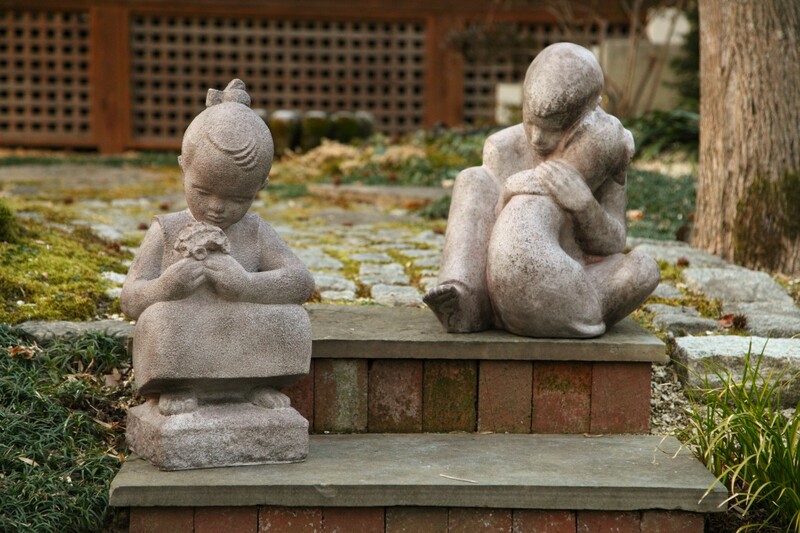 Mrs. Judson sculpted many statues that involved children. 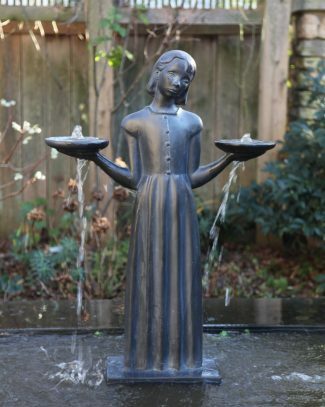 With all of her statues, she paid close attention to how the sculpture would be viewed from all angles. 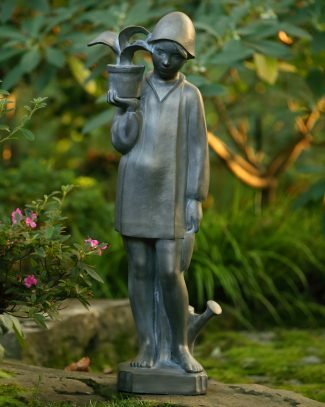 Summer is a perfect example of this.